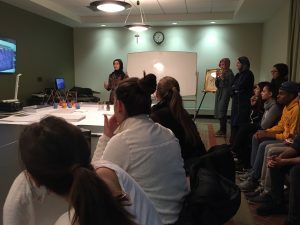 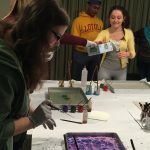 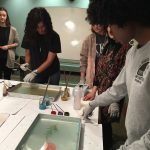 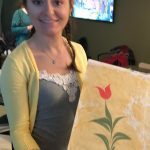 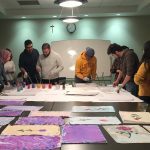 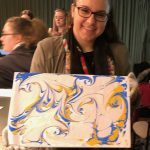 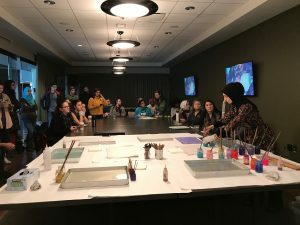 Our Arabic program at Loyola University Chicago was honored to welcome well-known Chicago-resident Turkish artist, Sevim Surucu to a special Ebru art workshop with our Arabic students on November 8, 2017. 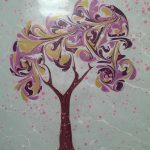 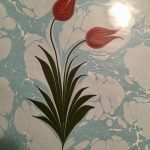 Sevim is an Ebru (Turkish Paper Marbling) artist with Bachelor of Art degree in Landscape Architecture from Istanbul University. 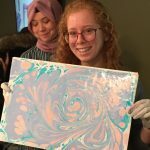 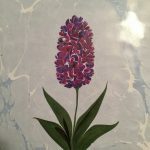 In her marbling designs, she utilizes traditional flower forms, contemporary designs, and her own unique creations. 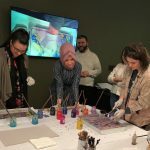 Sevim convened multiple demonstrations in Chicago, IL; St. Louis, MO; Los Angeles, CA; Irvine, CA; Salt Lake City, UT; Phoenix, AZ; Atlanta, GA; Urbana, IL; Raleigh, NC; Carbondale, IL; and Springfield, IL. 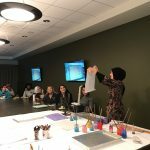 Aside from paper marbling, she started her studying of the Art of Illumination (Tezhip) as part of her passion to introduce the various traditional Turkish art forms in the United States, such as Calligraphy, Earthenware (Cini), and Miniature Painting (Minyatur). 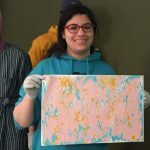 Please enjoy sample photos and excerpts of our Arabic students’ reflections on this unique therapeutic art as part of their Culture Portfolio assignments. 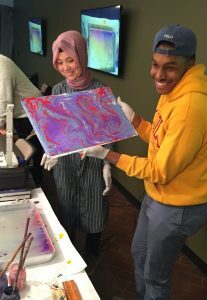 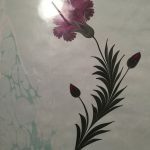 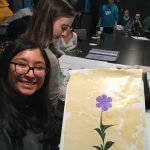 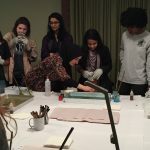 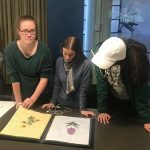 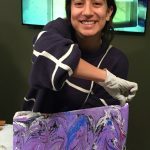 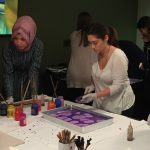 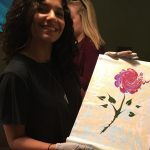 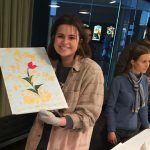 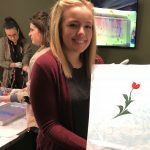 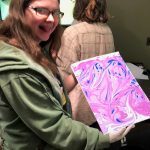 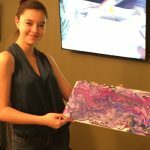 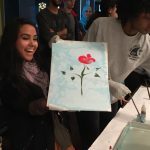 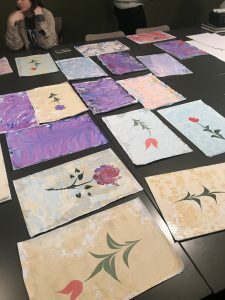 “Learning about and being able to do the beautiful ancient art form of Ebru was a wonderful experience because besides making a beautiful art, it made me feel more connected to my Turkish background.” Alyssa, Arabic 101.